The weekend is almost here, which means it’s time for another edition of Food Truck Friday! Thanks again to Citizens Bank of Edmond, which is sponsoring food truck reviews in the run up to Heard on Hurd, which returns to Edmond March 17. 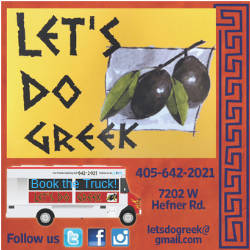 We’ll be looking at trucks you can visit at Heard on Hurd and around the metro. Last week was all about the savory delights of Wicked Hangry, so this week we’re looking at something sweet from The Brown’s Kitchen. While the truck doesn’t shy away from more filling fare (they made a barbecue brisket sandwich my son nearly inhaled), this restaurant on wheels specializes in parfaits. A brief word on children and food trucks: Children love food trucks. My daughter, for instance, told me that even though she’d never been to a food truck and wasn’t entirely sure what a food truck is she loved food trucks with all of her heart. Four years old is a magical age. The Brown's Kitchen's savory options, like this barbecue brisket sandwich, are always changing. She was slightly disappointed that a food truck is not a truck you can eat. And when she saw that it was a real truck, she was a bit let down that she wasn’t allowed to get on the truck. But any lingering doubts about food trucks were immediately erased when she saw the fruits of The Brown’s Kitchen’s labors. Yes. Little Miss-a-Lot was very excited. And so was I. The savory options at The Brown’s Kitchen change regularly. Basically, whatever they’re cooking, you’re eating. Some days that’s a creamy pasta. 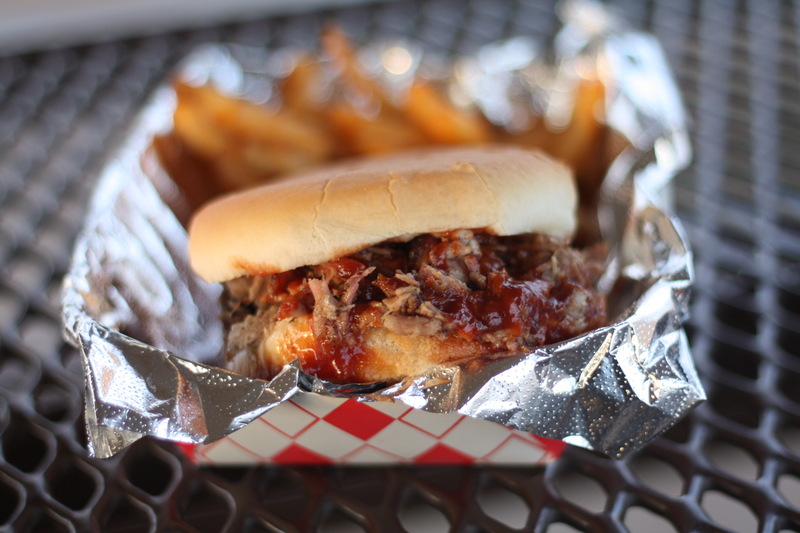 Sometimes it’s barbecue sandwiches. The sweets, on the other hand, are here to stay. 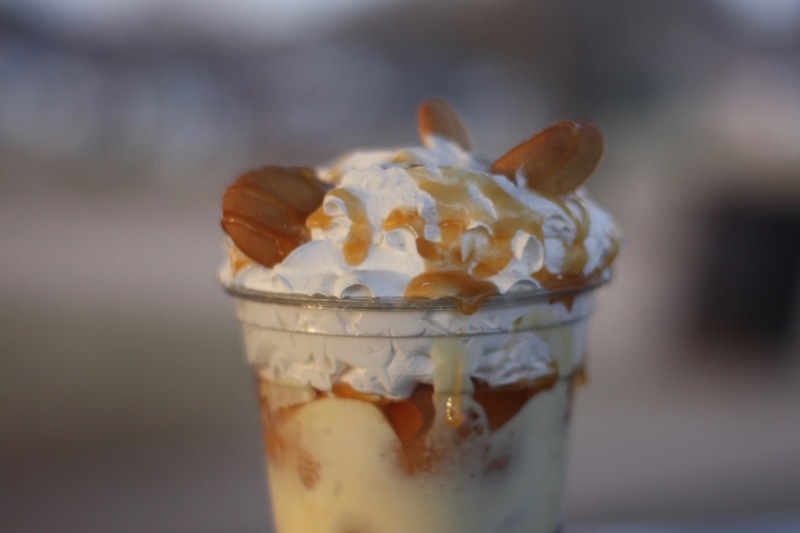 So when I asked Terrance Brown what visitors to Heard on Hurd could enjoy come March 17, he told me about the parfaits. 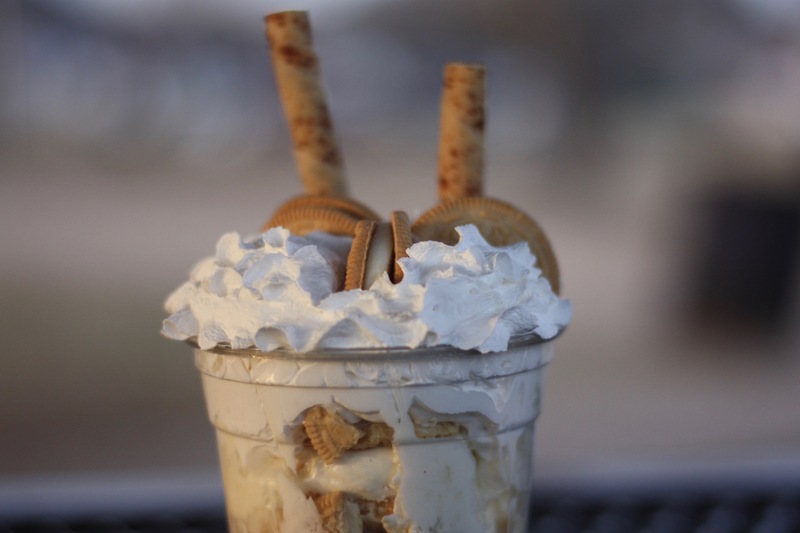 The first one we tried was a Vanilla Cookie Parfait, which layered a cheesecake-like filling mixed with custard and Golden Oreo cookies, then topped it off with whipped cream and tuile cigar cookies, also known as pirouettes. A bit of advice right off the bat: get napkins and wipes and maybe a portable shower, because the nature of parfaits is going to translate to sticky fingers and faces. Reaching that slender spoon into the cup to access layers of sweets will inevitably result in getting some on your hands. For pure sugar rush, the Vanilla Cookie Parfait is hard to beat. For a bit more variety in flavor and texture, I recommend the Strawberry Parfait. 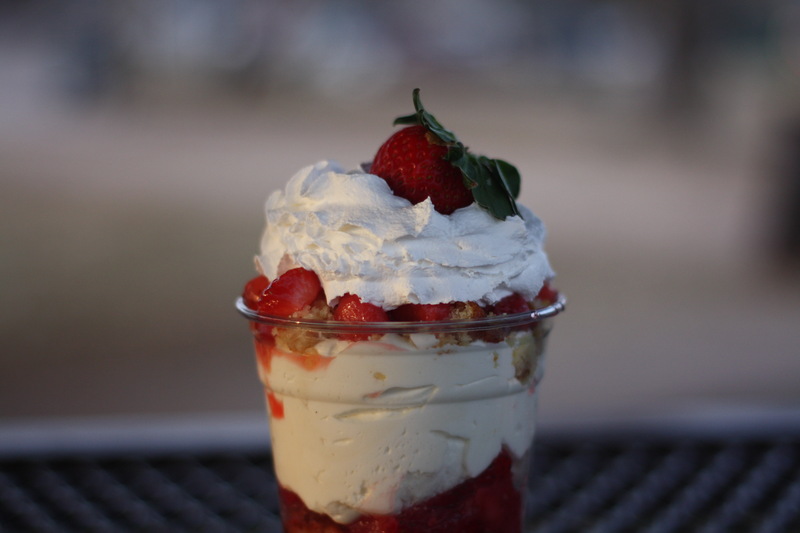 Fans of Strawberries Newport at the Oklahoma City Arts Festival will find plenty to love about this layered dessert of strawberries, pound cake and whipped cream. The juice from the strawberries stains the cake with streaks of pink and spreads that mildly tart fruit flavor into the cheesecake filling, as well. I felt slightly less guilty about attacking this one. I mean, there’s fruit! It’s basically health food. The knowledge that there are a few vitamins floating around didn’t reduce the decadence of this one. Spring has only just arrived, but those strawberries really made it feel like we’re already on our way to summer vacation. The star of the show was the Banana Pudding Parfait, which alternates layers of homemade banana pudding with iconic Nilla Wafers. On top, a dome of whipped cream with a drizzle of caramel entices you to dig deeper and deeper. My kids and my parents took turns diving into the banana pudding, which they all placed at the top of their parfait preference lists. The pudding had tons of tender bites of banana and lots of rich, creamy custard. The Nilla Wafers did their best to hold the line, softening a bit, but retaining some body. Every bite had layers of texture that kept us coming back for more. No matter what you eat at Heard on Hurd, you’ll want to queue up for dessert from The Brown’s Kitchen. Or you can do like me and just go straight for dessert at the beginning. Food Truck Friday reviews are brought to you by Citizens Bank of Edmond, which presents the monthly street festival, Heard on Hurd in Downtown Edmond. Heard on Hurd is an authentic block party-style festival that features three dozen food trucks, a live concert with local artists and retail pop-up shops. Edmond has a special vibe of its own and Citizens Bank of Edmond provides an outlet for the Edmond community to shine. Heard on Hurd highlights the importance of supporting local eateries, artists and retailers. At the heart of Heard on Hurd is Citizens Bank of Edmond which is proud to provide the means for so many local thriving businesses.